After a weekend filled with snowflakes, hibernating and binge-watching - it's back to the daily grind. Getting some Monday motivation is never easy, but there's one thing that may get you into better spirits: Pandas. The first snowfall of the season brought more than 2 inches to the Smithsonian National Zoo in Northwest D.C. 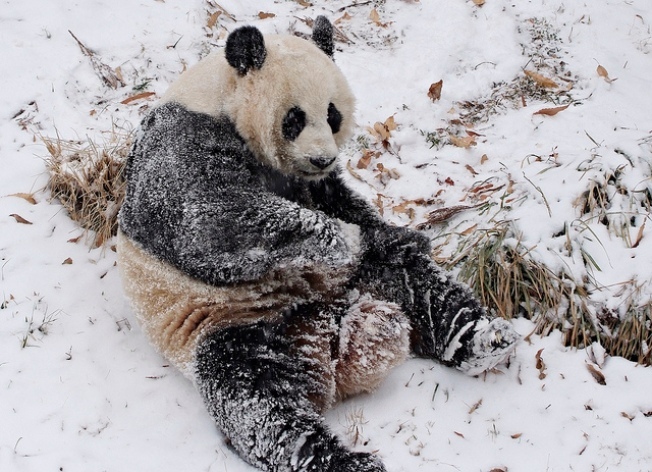 Giant panda Mei Xiang showed off her athletic abilities by tumbling down a snowy hill. And on Sunday, the zoo posted this video of a red panda and giant panda Bei Bei.